The Electric Cafe studio is comprised of a hybrid of analog and digital gear. The aim is for a quick workflow whilst incorporating the sonic elegance of the old analog hardware. Ableton is the workstation of choice running on a Macbook Pro, with a Focusrite 6i6 as the audio interface. The Six Trak is rich 6-voice analog poly synth with an optional mono/unison mode that stacks all 6 voices. Its sounds are similar to other Sequential Circuits synths in that is uses Curtis chips. 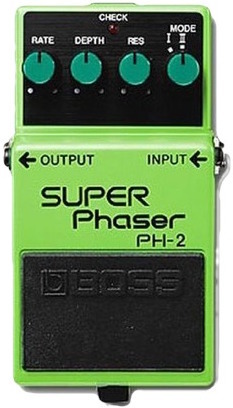 It is capable of a wonderful array of leads, basses, pads, and effects. It is perfect for making dark electronic soundtracks and can be used with the CTRLR VST for real time programming and automation within Ableton. The Juno-106 is a six-voice polyphonic and programable analog synth. 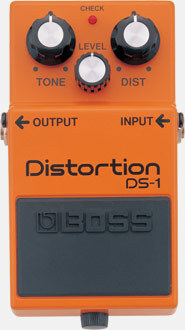 It is capable of creating amazingly lush textures in it's strings whilst also be able to sound fat and gritty in it's bass. The built in chorus is where the Juno get's it's signature sound which is very rich and full. It is basically the same as the Juno 60 but with more memory slots and MIDI. A Juno librarian is available to organise patches but I find it so easy to program I don't even bother with presets. The ultimate FM synthesiser. Although digital the DX7 is capable of creating some huge warm sounds. Once you get past the original factory presets and delve deeper into synthesis engine a whole host of crazy and complex sounds are achievable. Luckily there are archives of thousands of sound banks available to download. The synth can also be programmed using the free and wonderful DEXED VST. You can also use the online Laser Mammoth as a librarian for organising the wealth of sounds. For 1983 it is ridiculous how versatile this synth still is. This lightweight, slim-line controller features a premium-grade, full-size keyboard and is super easy-to-use. Transpose and octave changes are available at the touch of a button, 2 assignable knobs (which I usually assign to Cutoff and Resonance) and easy program changes. Perfect. The S-series samplers from Akai are most likely the best 16-bit samplers in the world. The most radical feature about these great samplers is that they are very synth-like. Aside from outstanding sampling specs such as 44.1kHz 16-bit stereo sampling with tons of RAM (8 to 32 MB) and extensive editing capability, the S3000 series have excellent synth-like filters with resonance, 32-voice polyphony, two LFOs, and complete MIDI implementation with MTC and SMPTE. I currently use the AKAI to load patches from the Fairlight IIx and the Emulator II. Patches like the Marcato Strings sound amazing when recorded through the filters of the AKAI. There is also something incredibly nostalgic about working with floppy disks again, having originally learnt my trade using an Amiga 500. This is the classic Daft Punk compressor used on Homework & Discovery. It became famous for it's sidechaining (the pumping house style beat). It sounds great on anything you put through it. It certainly isn't perfect but it has lots of character. Although these are guitar pedals I use them to apply additional FX to the synthesisers and samplers. Guitar enthusiasts really don't like the idea of this but the synths sound great going through them and they look awesome. I use these in a chain, turning each one on/off as desired before recording into Ableton. The result is a huge analog gritty sound. Typical usage include strings through the phaser, light percussive bells or plucks through the overdrive, lead and rhythm through the distortion and I use the chorus to fatten up the Six-Trak and DX7. Simple patch bay that allows me to set up input chains for the synths going through the BOSS effects pedals and into the audio interface. The HR626's offer crystal clear and neutral sound which is perfect for composition and mixing. The speaker also uses the D'Appolito layout which means the speaker can be used either vertically or horizontally, though I'd instinctively use it vertically where possible, as this should produce the most accurate off-axis response. On the other hand, it looks seriously cool when used horizontally, and the sweet spot still seems plenty wide enough. In addition to its use as a stereo studio monitor, the HR626 is also suitable for use in surround systems, with or without subwoofers. I got these as they are the closest you can get to the classic Yamaha NS-10. The point being they sound a bit crap but like the NS-10s they have a nack for showing up issues with your mix. So they are the perfect mix comparison speakers. Aside from actually using a Commodore 64, this amazing VST emulates the SID chip perfectly. I have already used this on many projects including Aqua Kitty and Crazy Comets. Super easy to program and an awesome filter. Essential. The SSL E-Channel delivers the incomparable sound of the Solid State Logic 4000-series console’s all-discrete design and its Class A, VCA chip. It features a High Pass Filter, Low Pass Filter, and a four-band parametric equalizer. The dynamics section features a soft-knee compressor/limiter and an expander/gate modeled on the SSL LS611E. I put this on every channel. Sometimes just for the saturation and sometimes for the compressors, but everything goes through these at some point. Essential for making your mixes sound real and alive. This is a superb plugin from Waves that emulates one of the vintage tape machines found in Abbey Road studios. Like the SSL I run every channel through this to give the digital signals analog warmth. I also use the WOW effect to add a slight pitch variation here and there, again creating the feel of analog. The tape delay section is also superb. Provides more than 7,500 royalty free sound effects (more than 50 hours of recorded sound) on either 40 Audio CDs or as a Download. It offers a broad spectrum of sound effects - including Animals & Birds, Construction, Crowds, Fire, Household, Industry, Military, Office, Sports, Transportation, Weather, and more. This library constantly serves as the building block for most of the game sounds I create. The sound quality and selection of samples is of the highest quality.